Late Monday night, the Red Sox announced that they had acquired second baseman Ian Kinsler from the Los Angeles Angels for right-hander Ty Buttrey and left-hander Williams Jerez. I had the chance to see both earlier this year with Pawtucket and coincidentally wrote them up together. Here's another look at that piece from June 19th (with the stats updated and a note on Buttrey's injury status added). Since he converted to pitching in 2014, left-hander Williams Jerez’s development has been slow, but after being added back onto the 40-man roster this past offseason, he looks to be on the brink of making his big league debut at some point in 2018. 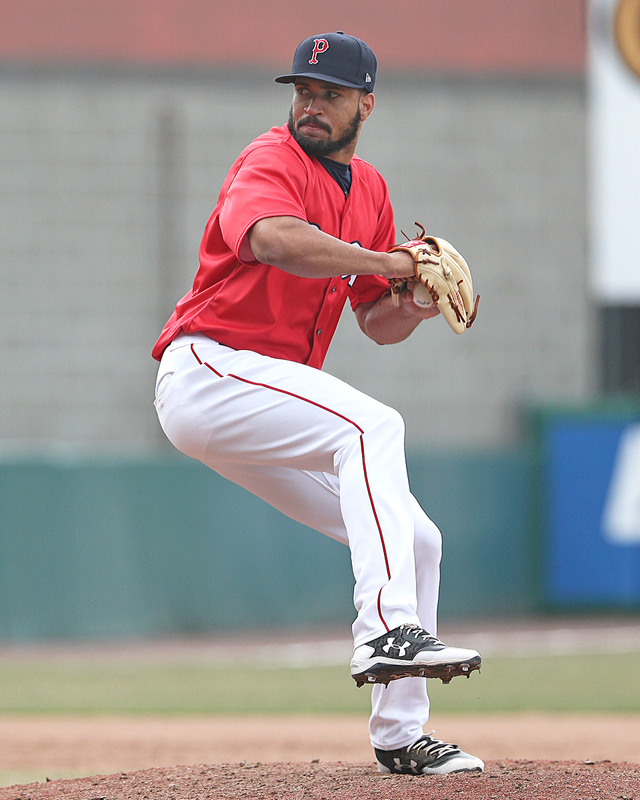 Jerez’s velocity is among the best in the Red Sox system and his secondary pitches continue to develop. In a recent look, which was also Jerez’s best outing of the year, he struck out five of the seven batters he faced over 2 1/3 perfect innings. Jerez showed off his potential, flummoxing several ex-major league hitters with both his fastball and secondary pitches. His fastball sat 96-98 mph and topped out at 99 mph. The pitch was on the straight side, so if his command is off, the pitch gets hit, which has been the case in several outings this year. Even during this excellent outing, when he was controlling the pitch well, he struggled to command the pitch arm-side. For this reason, refining his fastball command will be key for him to reach his potential. Jerez also had his secondary pitches working in this outing, but they still remain a work in progress. As the velocity on his fastball has ticked up, so has the velocity on his secondaries. He threw his slider in the low-to-mid 80s last year, but now throws it in the high-80s. The pitch showed average potential in this outing with short, horizontal break. At times last year the pitch showed more potential, but even as an average offering it was able to miss bats in this look given how dominant his fastball was. Jerez’s splitter also missed bats and was thrown in the same velocity band as his slider. The pitch worked 88-89 mph with some drop at times. Again, like his slider, it was average at best, but was successful when sequenced in turn with his fastball and slider. This year, Jerez has struck out 67 hitters in just 51 1/3 innings, good for a 29.9% strikeout rate, an improvement of just about 10% from last year. While Jerez is missing more bats, his walk rate has increased as well. If Jerez can even develop average command with his velocity and either his slider or splitter develops into an above-average offering, he has late-inning potential, but if those things don’t improve, he likely will end up a situational reliever. Considering he started as a position player, even making it this far on the mound is impressive. The Red Sox have considerable left-handed relief depth in Pawtucket with Jerez, Robby Scott and Bobby Poyner all throwing well. Jerez has by far the best raw stuff of that group, and if he can improve his consistency and string together quality outings, he’ll find himself in consideration for a call-up should the Red Sox bullpen need help some point this summer. 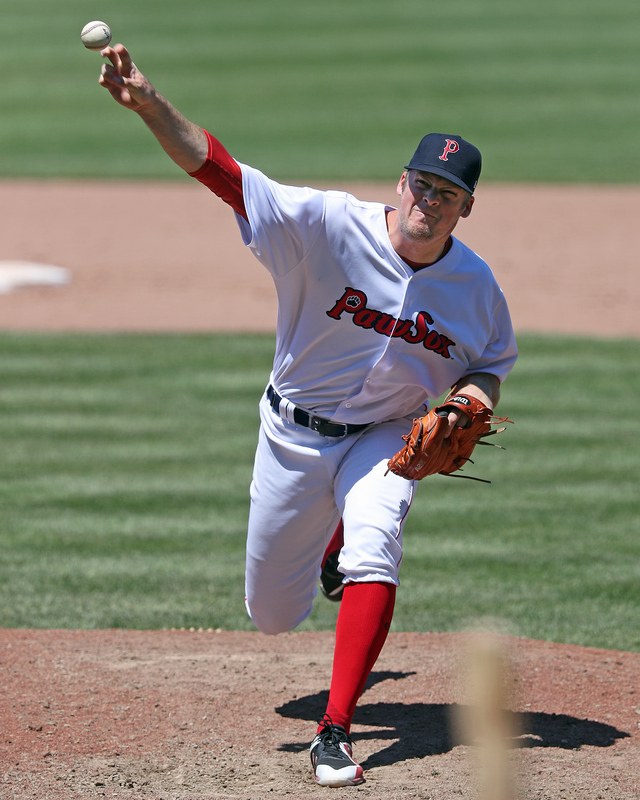 Right-hander Ty Buttrey was also added to the 40-man roster this offseason and has shown the ability to miss a ton of bats at the Triple-A level with a questionable command and control profile. Buttrey is striking out a ridiculous 34.6% of the hitters he’s faced this year and has combined that with a decrease of over four percent in his walk rate (12% to 7.6%). He has allowed four home runs in 44 innings, however, which is more than he allowed all of last year in more than twice as many innings. Buttrey’s success stems from his fastball-changeup combination, with his fastball showing plus-plus velocity and changeup also flashing plus potential. The fastball sat 95-97 mph in a recent outing, and though his walk rate has decreased, his command still needs refinement. His delivery doesn’t help in that regard, as it has considerable effort and lacks fluidity. Buttrey’s changeup is a major league-quality out pitch with significant separation from has fastball at 84-86 mph. He throws the pitch with the same arm speed as his fastball and it comes in on the same plane before falling off the table sharp, late, vertical drop. He has strong feel for the pitch and has shown a willingness to use it against both left- and right-handed hitters. Buttrey will also show a hard, high-80s slider at times, but the pitch doesn’t have as much potential as his changeup. Buttrey is currently on the disabled list with a knee injury, but even if he doesn’t take a step forward command-wise he has the raw stuff to project in a major league bullpen role. Where he’ll slot within the bullpen is dependent on his fastball command improving; if he can take a step forward there, he has late-inning potential.